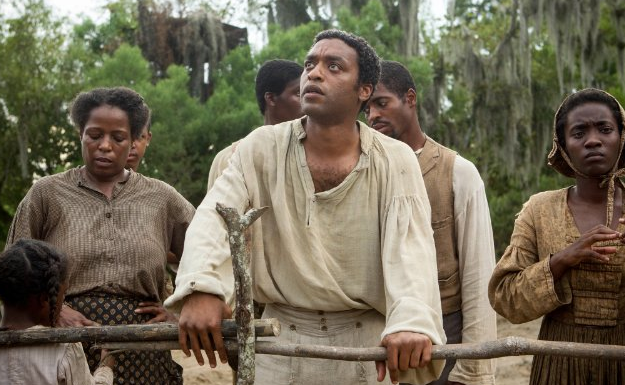 Solomon Northup apologizes in one critical scene in “12 Years a Slave.” They are words he thought he’d never live to utter. But what is he apologizing for and why? The answer is complicated. It is a touching, unique revelation in an important film about a subject many might be tired of talking about. In 1841, freed slave Solomon Northup (Chiwetel Ejiofor) lived a positive free life with his wife and two children in Saratoga Springs, New York. One day, he’s offered an opportunity to work in Washington DC as a violin player. Unfortunately, once in the nation’s capital, he is drugged and sold into slavery. From there Solomon is transported to Louisiana, given the name of Platt, and made to work on plantations. The narrative follows his 12 years in captivity. Based on the 1853 autobiography of the same name, “12 Years a Slave” is powerful and moving, but also gives us fresh insight into one of the darkest times in the history of the United States. Directed by Steve McQueen, the British filmmaker who last brought us the terrific but difficult “Shame,” the film is well directed and captured. The entire scope, both visually and narratively, is intimate and tells a story that makes a profound comment on slavery from the inside out. Director McQueen’s now signature techniques are on full display here. In Ejiofor, McQueen finds another gifted actor that embraces hard and emotive story-telling. McQueen has a thing for long static shots particularly of faces. I need to watch the film again and study it from a technical standpoint, but like his “Shame,” there are long critical and telling shots in which Ejiofor contemplates the hopelessness of his character’s situation. These reflective moments are as devastating as the brutally violent ones. And this is a brutal and violent film. The horrifying plight of those, both black and white, caught in the institutionalized grip of slavery has rarely been displayed with more intelligence and insight. McQueen and his screenwriter John Ridley, working from Northup’s classic memoir, deliver a fresh take on an uncomfortable subject that many may think has been largely played out. One can imagine the dismissive attitude of some producers who might have passed on the project as it made its rounds. 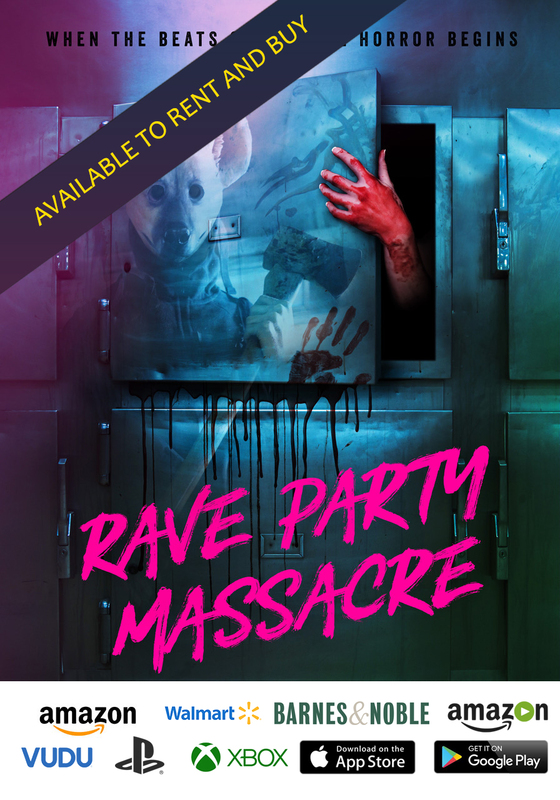 Raising money for a film like this one could not have been easy. Credit does go to Brad Pitt, who takes on producer and cameo acting duties. He’s been doing a fair amount of press for the movie promoting it by touting the social commentary that it is meant to evoke. When thinking about the story and genre here, one would not have thought immediately of Director McQueen and his team that includes gifted cinematographer Sean Bobbitt, who last worked with McQueen on “Shame” and previously on “Hunger.” But after watching and experiencing the film, the fit is exactly right. “12 Years a Slave” is an adult look at an adult subject and the raw and intimate style Bobbitt brings to the visuals drew me in throughout the running time. McQueen and Bobbitt add a painterly quality to everything they do, which has the effect of giving import to even the mundane. “Shame” was a small film about troubled people but just through the strength of the visuals, it played much deeper than a study of character. My wife and I recently re-watched “Midnight Cowboy,” which is as much an artistic achievement as it is a narrative one. 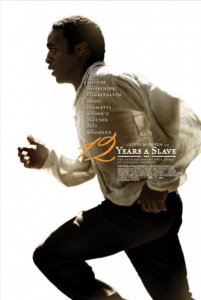 “12 Years a Slave” has similar artistic merit, but also has the strongest narrative (both content and structure) of anything that I’ve seen this year. While certainly too brutal and adult for younger viewers, this is a film that must be seen and discussed. And just why does Northup make that critical apology? The answer requires lengthy exploration of a subject still worth talking about.